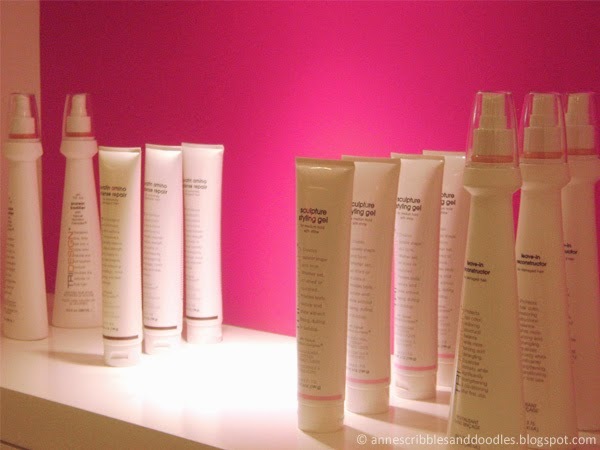 Blo Out (noun): a styling session or act of getting blo-wn out. 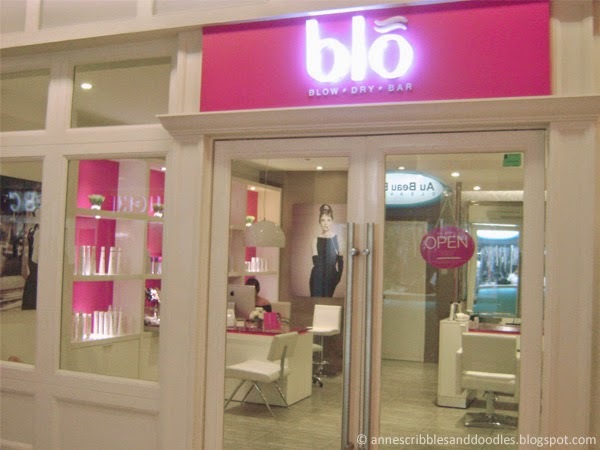 That was exactly what I got when I visited Blo Blow Dry Bar's Rockwell Branch late last month. 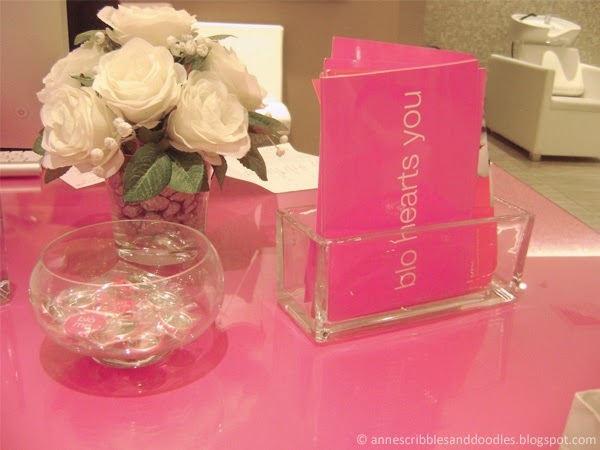 It was around July of 2013 when I won some hot pink Blo gift certificates thanks to Tricia Gosingtian. It got me all hyped up but alas I live in Cebu and all the branches are in Manila. I thought I'd never get to use them but an opportunity came up. *ahem* Dinner date with Camille Co *ahem*. 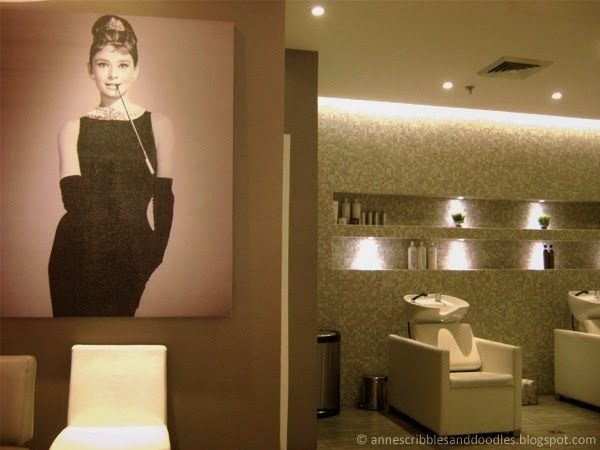 Mind you, this blow dry bar that originated in North America is famous for hair styling services. It's dubbed as an affordable catwalk-quality bar for the modern woman. Here I am with my messy, unkempt and dirty hair. I have a lot to thank sweat, dirt and the long travel from Cebu to Manila for all the messed up gunk in my locks. Ew! Please forget I wrote that. Hahaha. I was accompanied by my Tita Jinky, Tito Bob and this charmer with me, my cousin Daphne to Blo's Rockwell Makati branch. Oh yes time to get this mane cleaned up and pampered! Swoon! 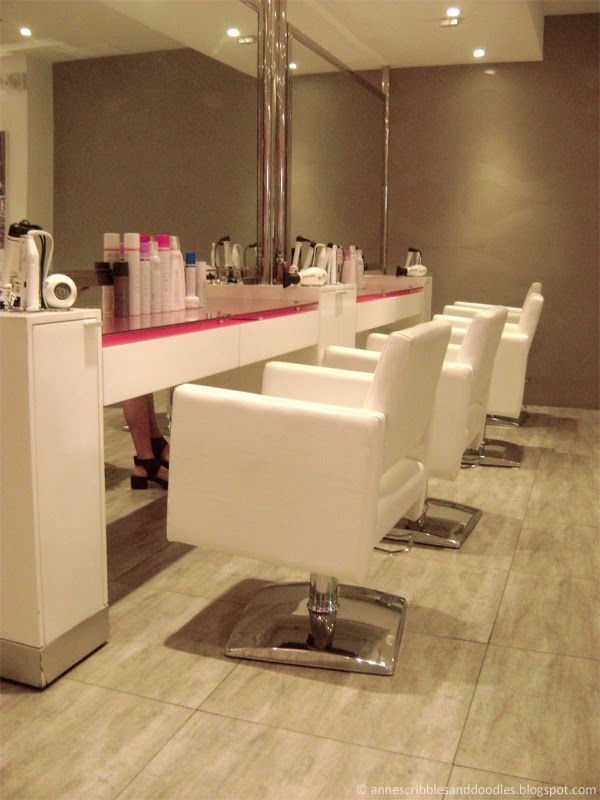 If you're a lover of pink then Blo Blow Dry Bar's interiors are going to sweep you off of your feet. Even if I am more of a blue kind of girl, pink hues still get me all the time. Oh and yes that Audrey Hepburn photo just sealed the deal. 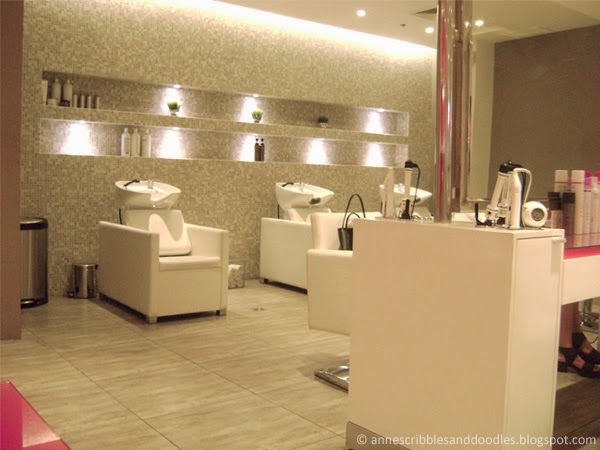 My dirty tresses got all the pampering they needed as I sat in one of these comfy chairs. I love the products that they've washed my hair with. They smell so good and even lasted when I woke up the day after. I particularly adore how everything is kept neat and organized. Also, can you spot any wires? I don't! That's because all the tools have been strategically placed atop those slim cabinets/table posts. I appreciate salons that give attention to the tiniest details like this. I know... OCD much eh? You can choose one of the seven styles from the Blo Hair Menu. I chose the red carpet although looking back I wish I tried the pillow talk. Oh well, next time then. Look at all of these hair knickknacks. 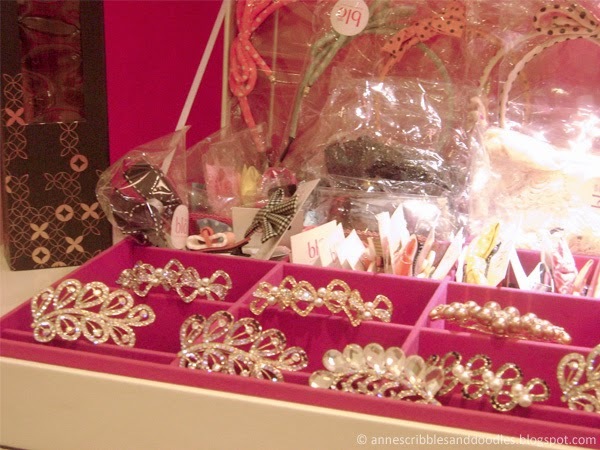 One of these is sure to add some much needed pizzazz to your look! 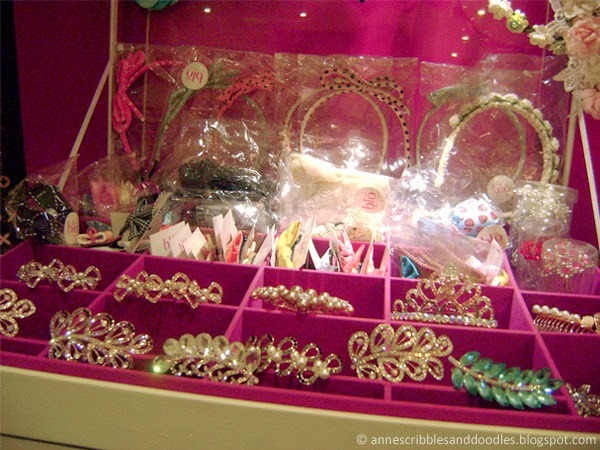 You can choose from sweet bows, bold printed headbands, colorful clips and sparkly combs. Here I am with my lovely hair stylist feeling fresh and ready to fly to the Early bird Breakfast Club to meet the one and only Camille Co! Please ignore my nervous smile. I was feeling really anxious at the time. 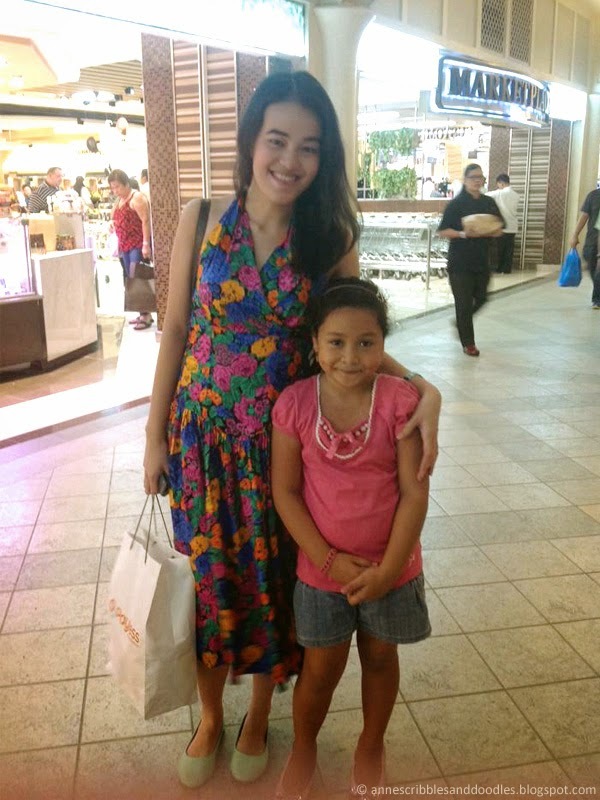 I was about to meet and have dinner with her in less than 30 minutes. Blo Blow Dry Bar has three locations in the Philippines and you can contact them to book a session through phone, email or their website. See a list of contact details below. (Walk ins are also very much welcome.) From my experience I would say that I am quite impressed with the swiftness of their response to emails. They even guided me on how to arrive at the event venue of Camille's dinner. Two thumbs up for all the friendly staff! I know! I can't help but think that it was really meant to be. Thank you Emma!